It’s not often that contemporary art makes the local news, but that’s what happened when, in advance of the 2016 Dallas Art Fair, Olu & Company designed and placed a targeted billboard advertisement for genetically engineered babies. By extending the speculative reality of Rachel Lee Hovnanian’s “Perfect Baby Showroom,” the billboard and dedicated microsite Perfect-Babies.com helped secure coverage of the installation in Patron, PaperCity, W, The Creators Project, artnet News, Bullett, D Magazine and Dallas Morning News. 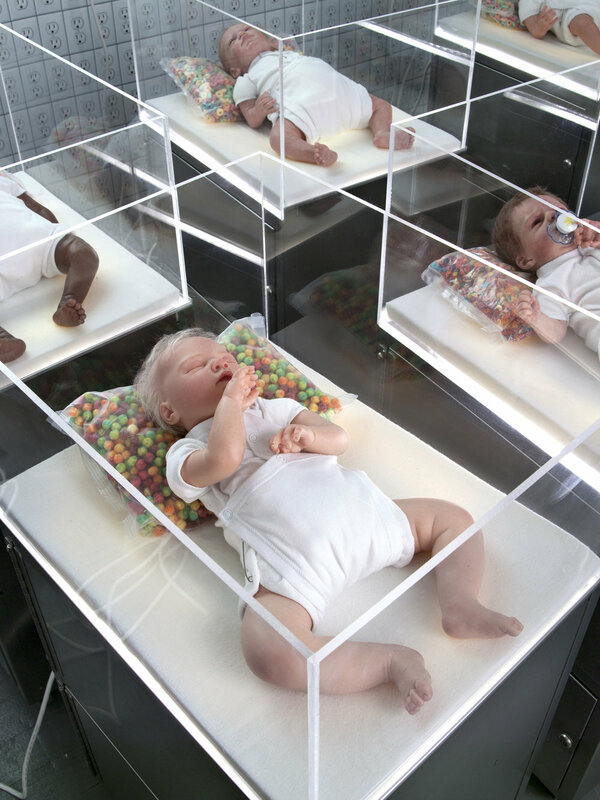 Rachel Lee Hovnanian hired Olu & Company to secure press coverage for “Plastic Perfect” (her solo exhibition at Leila Heller) and “Instant Gratification” (her four-day, pop-up cereal bar with Wi-Fi café installation in SoHo). Though radically different in place and context, both presentations of the artist’s work were interactive installations that explored where our natural, synthetic and digital worlds collide. Olu & Company secured pre-press, long-lead profiles and reviews in Modern Painters, Flaunt, Cultured, BOMB, Interview and GOOD.